A Community Restaurant With No Prices On The Menu - You've Got to See This! A Community Restaurant With No Prices On The Menu – You’ve Got to See This! JBJ Soul Kitchen is a community kitchen created by rocker Jon Bon Jovi, with no prices on the menu; customers donate to pay for their meal. If you are unable to donate you may do volunteer work in exchange for your family’s meal. 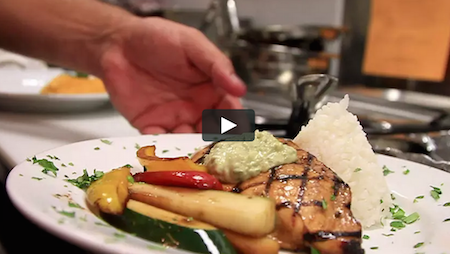 The vision at soul kitchen is to serve healthy, delicious, and when possible, organic meals. As soul kitchen you will notice there are no prices on the menu and you might have been seated with someone you don’t know. Customers pay the minimum donation or volunteer in some way to earn a dining certificate for a meal. At the JB J soul kitchen, a place is ready for you if you are hungry, or if you hunger to make a difference in your community. They believe that a healthy male can feed the soul. There are two locations, one in Red Bank, New Jersey and the other under construction in Thomas River, New Jersey. He Heard A Noise Underneath The Brick Sidewalk, What He Found Was A Miracle!